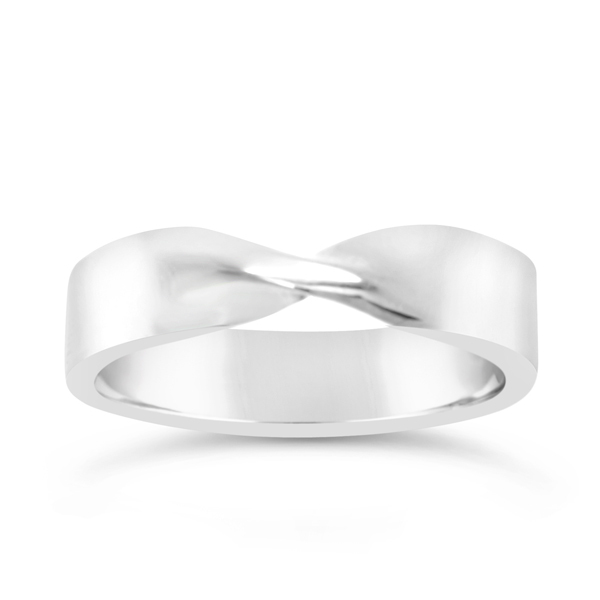 An unusual platinum twisted wedding band. The price in platinum for ring sizes up to size P is £880 in 1mm thick platinum (medium weight) and 6mm wide. The ring pictured was 1.5mm thick (heavy weight) so was £1200. This ring works well as a fitted wedding band if your engagement ring has a large solitaire diamond. 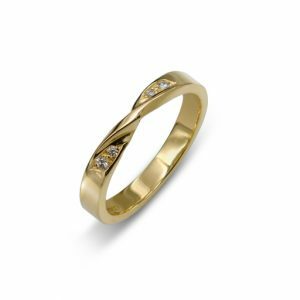 The gap left by the twist allows the diamond to sit up next the the wedding band without a gap. 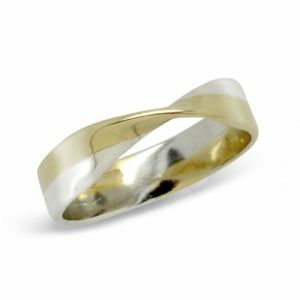 This ring can be commissioned in any width and in any precious metal: platinum, white gold, yellow gold, rose gold. 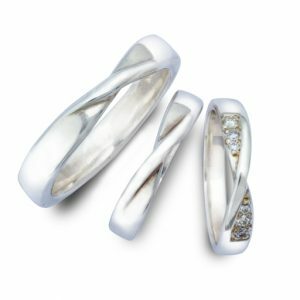 Your platinum twisted wedding band can be handmade and delivered in four weeks. We have samples in the shop if you would like to try them on.